Tourism accounts for about 9% of Mexico’s GNI and provides almost 4 million direct jobs. In 2015, Mexico welcomed a record 32.1 million international tourists, making it the 10th most popular international destination in the world. They spent a combined $17.5 billion in the country. Almost 50% of these overseas visitors arrived by air; they accounted for 80% of total foreign tourist expenditures. This year, tourism officials are predicting that 35 million international foreign visitors will holiday in Mexico, with total spending of 19 billion dollars. Officials believe, probably optimistically, that Mexico can attract 40 million tourists in 2018 and 50 million by 2030. They stress the need for policies that will result in more hotels, additional air routes, new attractions, and packages designed for niche markets including health, religion, and seniors-based tourism. Quintana Roo, Mexico: Is mass tourism a form of colonialism? 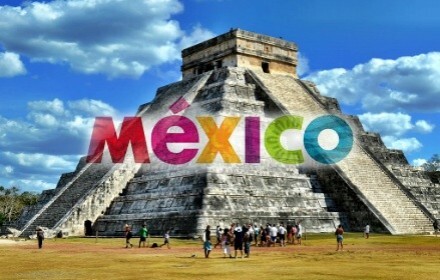 Mexico’s tourism development policies: a model for the world? Terrific and still room for growth. Perhaps Mexico could take a leaf out of the UK’s book? Last year the UK had 124.4 million visitors, of which 65.2 million went to London and within London: The famous South Kensington-based trio of Victorian museums – the V&A, Natural History Museum and Science Museum – together attracted 11.9 million visitors. The big attractions are history, culture and natural landscape. Mexico has quite a bit of those! Unfortunately Mexico (most Mexicans) sub value this beautiful and rich country. I might mention that almost nobody goes to the UK for a beach holiday!!! (I understand why) and there are not hundreds of thousands of paisanos blocking the roads with their overloaded pick ups racking up the visitor numbers. Just so long as you don’t advocate a Royal Family in Mexico! Steven Leighton said: “Last year the UK had 124.4 million visitors, of which 65.2 million went to London and within London”….. Well the 124 million visitors includes British nationals, if you want to include Mexican national tourists then Mexico had over 200 million visitors. The article is talking about Foreign tourists to Mexico of 32.1 million visitors as compared to the U.K’s 32.6 million for 2014. Mexico is expected to have 40 million international tourists by 2018 and should pass the UK by then and be firmly in the top 7 worldwide.